"Set your affection on things above, not on things on the earth." long after Christmas has come and gone!! undertakings that I passionately believe are worth fighting for. Before you proceed, let me issue two warnings and two reasons. Warning #1. I get pretty "fired up" about these eleven things. and #2. I apologize, but this is a very long post! Reason #1. I really, really care about and believe in these things...very deeply. and #2. I just couldn't seem to condense it and still say all that was in my heart. and here's me stepping onto it!! glorifying Him and endeavoring to please Him. and His holy cause is very near and dear to my heart. literally breaks my heart and brings me to tears time after time. I honestly love and adore Him more than I can say. I find I need it more and more. I don't know what I would do without it. is hard for me to grasp sometimes. Two-way communion with God is one of the most cherished parts of my day. and it makes me even sadder to see the results of that very unwise decision. Our children need to know how to pray. for our families, our marriages, our country, and the Body of Christ. and is the very first resource we seek for refuge and help. A steady, consistent prayer life is one of the most vital components in the life of a Christian. and that they taught me to pray from my first moment of remembrance. After Dad died, Mom spent countless hours in prayer. No matter what time I called her, it seemed I would "catch" her during a season of prayer. our families, our homes, and our problems. I cannot begin to express how much I miss those faithful prayers now. "Mom, will you please pray for me...or for Kevin...or for Zach?" Dear Lord, sometimes the pain of missing her and Dad is nearly too much! but they left behind something far more precious than gold. They taught me how to pray. Now that I am a mother, I want Zachary to remember his Mama as a woman of fervent prayer. May he sees those prayers answered by a loving Father Who loves him even more than Kevin and I do. is watching Zachary take his Bible out every morning and tell me he is going to his room to have his devotions. He often comes out later and says, "Mama, the Lord spoke to me while I was praying!" There is such wonder in his eyes! How I praise God that he is establishing his very own prayer life and finding that same, sweet communion with God that I enjoy so much! This foundation will carry him through life, whatever the future brings. Have you ever seen or heard of such a disposable society? there is an alternative that is disposable. It requires less effort and energy. Many times, it is a time saver. So, when given the choice, we often opt for the throw-away version. Paper plates, instead of the dishes in our cupboard. Plastic cups and utensils, instead of the ones we have on hand. Paper napkins, paper towels, disposable diapers, instead of cloth ones that can be washed and reused. Disposable batteries, instead of rechargeable ones. Tissues, instead of old-timey handkerchiefs. Disposable cameras and razors, instead of permanent ones. Disposable and short-lived has become a way of life for us. The products are filling up our landfills and doing a number on our environment and eco-system. Some of these things take a long time, even years, to decompose. often not taking into account the long-term consequences and repercussions. and because of this, we understandably try to take the easy way out every time we can. such as into something as serious as marriage, with the same mindset. Marriage used to be approached with a great deal of thought and consideration. It used to be regarded as a sacred commitment that was expected to be kept for a lifetime. The decision of saying "yes" to a marriage proposal used to be something that had been carefully thought out and considered ahead of time. Men used to ask girls' fathers' permission, approaching the whole marriage scene with reverence. "Oh, well, if it doesn't work out, we'll go our separate ways, and find someone else"? between Jesus Christ and His Church. but one day to be joined with Him forever in Heaven. The fact that God chose a marital union as the thing He wanted to use to portray His relationship with us leads me to believe that He takes marriage very seriously. with no hope of coming out from under the load. and in those times, we are tempted to flee stressful scenes. and give in to defeat. The problems will be there, so pulling away and apart from each other will not solve anything. Life is not easy, any way you slice it, but it is a lot harder to face when you are alone. The truth is marriage is SO worth the effort it takes to hold on to. that we understand each other when we reminisce, because much of what we are reflecting on has been experienced together. I was 21 when I walked down the aisle and said "I do". I am now 48, so I have been married for more than half of my life. Looking back, I cannot express how wonderful the journey has been. Looking ahead, I cannot imagine how many blessings God still has in store for us. has brought more solace than I could ever put into words. There is just something so comforting about sticking it out with the same person. It is such a beautiful thing to watch the union of souls that happens over a long period of being together and to literally experience what it means for two to become one. "Two are better than one; because they have a good reward for their labor. for he hath not another to help him up." Marriage is absolutely worth fighting for. and we hear Zachary praying for the girl he will one day marry and asking God to lead him to her. and may God direct him to the right girl when it is time. I will never forget the moment the midwife placed Zachary into my arms. of the sweetest miracle I had ever seen. God has ever bestowed upon my life. Everyday with him, watching him grow, seeing the changes, walking through life with him in our home...the whole parenting journey are things that Kevin and I thank God for every, single day. of assisting God in the making of a miracle. From the time I was a little girl, my biggest dreams were to be a wife and a mother. To have someone to call me "mama" is the sweetest sound I've ever heard. I had a deep love for children. I have an even deeper love for them. one of these fragile, God-sent angels is hard to comprehend. to be protected, to be loved and cherished. yet, they adamantly fight for the right to kill unborn human babies! How can this be even remotely perceived as humane???? I am all FOR saving all of God's creatures and making sure every stray dog, cat, and hamster finds a loving forever home. These causes are noble, they are right, and they should be promoted. But, tell me, when did a baby stop being classified as a noble, defendable cause? Since when is a baby not one of God's creatures? but it is politically correct and justifiable to kill a baby because it was conceived "by mistake"? Who will rise in their defense? Who will take up the cause of the over 50 million human babies murdered before they had a chance to breathe or look into their mama's eyes or feel their Daddy's arms pulling them close? but had she made the same "choice" a few weeks before, it would have been perfectly legal. Every child is beyond precious, and God has a unique design for its life. To take matters into one's own hands, ending a child's life, is to thwart God's plan. If you have a child of your own, hug him/her a little tighter. Show a little more patience. Give a little more love. And know that there are many who would give anything they own to be standing in your shoes. Which brings me to #5. Okay, so I already said we had waited for 12 1/2 years to have Zachary. other than it was a Divine-intervention miracle. According to my physical condition and diagnosis, it wasn't possible. "The things which are impossible with men are possible with God." I follow a few infertility blogs of ladies God has brought across my path over the past year or so. My heart goes out to each of them with deep compassion, because I know how they feel. I once stood in their shoes. My arms were once empty...and ached. My womb was once barren...and empty. There is nothing in the world to describe the pain of being a woman who is not able to conceive or to carry a baby full-term. I felt so inadequate, like such a failure, knowing I could not "do" the one thing a woman's body was designed to do. and our life together is wonderful, there was a deep, aching void that only a child could fill. 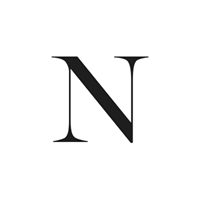 I want to share with you the blogs I follow, so you can get to know them, too. that God will heal their barrenness and send them babies of their own. I hope you will make a commitment to do the same. "He maketh the barren woman to keep house, and to be a joyful mother of children. (Katie is now expecting twins, praise God! and another dear one whose mother I have come to "know" in blogland. I only know her as "Amy", and I pray for her often. There are many others, but these are ones God has introduced me to in recent months. Lisa, at Amateur Nester, was so kind to publish Kevin's & My Infertility Testimony last January. 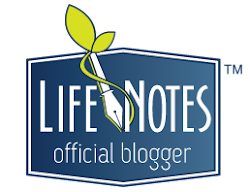 If you would like to read it, click HERE, to be re-directed to Lisa's blog. the cause of homeschooling is very precious to me. It was a choice that we knew God wanted us to make from the moment we found out we were expecting a child. Actually, it feels more like a calling than just a choice we have made. to the ability of making sure Scripture is strongly represented in his education. that would not be available to him otherwise. But the very best part of homeschooling, to me, is the one-on-one time I get to spend with him every day...the moments I have his undivided attention and we really connect are beyond precious to me. and that He will always allow us to choose our own curriculum. How I love and cherish it! I love to keep it clean and care for every nook and cranny and make it shine. I so enjoy primitives and antiques and fitting them into the decorating of the home God has lent to us. But, it isn't just the wooden beams, walls, floor, and decor that calls to me. It isn't so much a building at all. of knowing I am safe and loved and with the ones I love more than anyone on earth. Over the past year or so, the three of us have done a lot of traveling. I have often wondered how I would stand being away for so long. I just love home so much! but who I'm with that makes me feel "at home". We have learned that it doesn't really matter if our clothes come from a dresser drawer or from a suitcase, and many times, we don't need everything we think we do. no matter where we happen to be. And family...how precious it is! Never before has the entity of family been under such attack. Never before has satan tried harder to undermine, sabotage, and annihilate the strength and stability of the family unit. Children are suffering because of it. in which both Mama and Daddy are physically and emotionally present and hands-on in their everyday lives, and both parents love, defend, nurture, and protect. leaving the family picture incomplete and fractured. it is vital and necessary to your life. Don't neglect it or the ones who make it up. There is no promise of life. We have to seize opportunities to live and care and love while they are within our grasp. I want to introduce you to three of my favorite champions of the cause of God's vision of family. To me, they are absolutely worthy of our prayers, backing, and financial support. If you click on the name, you will be re-directed to their website. Each one of these organizations put their heart and soul into fighting for the preciousness and sacredness of everything family is and means. doing all they can to reinforce and support the sacred cause of family. Were I a prophet from long ago, my clothing would be sackcloth. How many more million babies will be aborted before God says it is enough? how must the cries of the unborn now ascend to His hearing? Dear Lord, how far we have drifted! is like pulling the foundation out from under a standing building. that we will somehow subjugate God, making Him conform to our lawlessness? Do we foolishly believe that if we pretend He isn't there, He and His Holy Word will just go away? Lately, I have been missing Mom and Dad so much. I miss being around older people. They are so wise, and they have so much to contribute. There is something very comforting and secure about being with an elderly person. and how the younger generation seems to have lost a lot of their sense of regard for them. They are a priceless gift that should never be ignored or cast aside as unnecessary or irrelevant. or that they don't notice impatience, abuse, slights, insults, and rude treatment. They already feel like a burden, so they don't need to be reminded. One day, we will all walk in their footsteps, if God spares our lives that long. Shouldn't we treat them the way we hope to be treated? They have SO much to give. Shouldn't we take the time to allow them to? I love sitting down to talk with an elderly person. To be able to listen to their stories and glean from their wisdom is a treasure. and fear thy God: I am the LORD." "Likewise, ye younger, submit yourselves unto the elder. for God resisteth the proud, and giveth grace to the humble." Treating the elderly with due respect and consideration is something that is close to God's heart. It should be close to ours, too. I have a real problem with injustice. It "just" doesn't sit right with me. I have felt its sting more times than I care to recall. constantly reminding of past inflicted pain. Maybe that is why I take injustice to heart so much and am so intent on taking it on. Standing in the gap is something I feel called and overwhelmingly compelled to do. Championing the cause of children, the elderly, downtrodden, underdog, unchampioned, defenseless, and those in need of prayer is a calling for me and one that I cannot seem to ignore. Isn't that what Jesus did and continually does? He went to the cross for us, not for His Own sins, but for mine...and yours. "My little children, these things write I unto you, that ye sin not. And if any man sin, we have an advocate with the Father, Jesus Christ the righteous..."
but to promote HIM and to serve as a platform for His cause and the cause of those who need a voice. Meeting the needs of others. "Freely ye have received, freely give." Doing what Jesus would do. who went about doing good..."
to perform at least one random act of kindness every day. the ones who live within the walls of my own home. My husband deserves my benevolence. Our son merits my benevolence. should my goodwill and benevolence flow beyond to the outside. I want to make a positive difference in both of their lives. I want to serve them and do all I can for them because I love both of them with more love than my heart can hold. The more charity I can show and give at home, the more filled we, as a family, will be to love others. It is more blessed to give than to receive." We are so abundantly blessed. I don't want to hoard the overflow. I want to share it and allow it to spill over into the lives of those I meet. God is so faithful to orchestrate opportunities for benevolent acts. Zachary will say, "Mama, Daddy, that was an assignment!" This is the way we are to live life. It is not about me...or us. It is all about Him...and others. I close this post with a story that is probably familiar to at least some of you. the Lord led me to this wonderful post at deeperchristian.com. After receiving permission from N R Johnson, I am copying it here. "It was Christmas Eve, 1910. General William Booth, the founder of The Salvation Army in London, England was near the end of his life. His health was poor, and he was going to be unable to attend the Army’s annual convention. Booth had become an invalid, and his eyesight was failing him. No one knew that he would not live to see another Christmas. Somebody suggested that General Booth send a telegram or a message to be read at the opening of the convention as an encouragement to the many soldiers of the Salvation Army that would be in attendance following Christmas and their many hours of labor ministering to so many others through the holidays and the cold winter months. Booth agreed to do so. Knowing that funds were limited and desiring not to use any more money than necessary so that as much money as possible could be used to help the many people in need, General Booth decided to send a one word message. He searched his mind and reviewed his years of ministry, looking for the one word that would summarize his life, the mission of the Army and encourage the others to continue on. "His name is Emmett Marks. He has been in the hospital since New Years Eve and has the flu and pneumonia. He has weak lungs and is very weak and very sick and not responding well to anything regarding his breathing. Now co2 levels are dangerously high." UPDATE 01/08/14 @ 3:33 PM - Praise Report!!!!! "Emmett has shown great improvement! Still has a long way to go. But definitely showing improvement and much better then he was when admitted." PRAISE GOD!!! Please keep praying!! UPDATE 01/11/14 - Praise Report!!! Emmett has been released from the hospital, praise God! Your prayers are most appreciated!! Great post! :) I agree with everything said here. I am so against abortion. It makes me so angry! I wish I could save all the babies. I love babies! And just think of the people they could've grown into! I also love talking to the elderly. I was very close to my maternal grandparents. My grandma died years ago, and my grandpa died 2 years ago. So many times, the boys and I will be discussing something and I'll say, "I wish Grandpa was still here. He would know." They have SO much wisdom! So sorry you lost your grandpa! I know you miss him. God bless and comfort you in those moments! YES, more Jesus!!! That is what we all need. :) Thanks so much for stopping by. Cheryl, you *wear* a soapbox very well! Truly, your words speak like no others, and we are wise to listen to what God has laid upon your heart. Each of your causes, your heartbeat concerns, are vitally important. How far all of us have fallen short, and how far our country has strayed. Would that the Lord would bring revival - starting in each individual heart, starting in my own. Some things are definitely worth fighting for - and your list represents what should be our top priorities. May God inflame us with fervor and zeal for the things that are truly important. Starting, of course, with the primacy of having HIM be Number One! Thank you so very much for your dear words, support, encouragement, and friendship. I can't thank God enough for allowing our paths to cross and permitting us to walk this Christian walk together. Even though there are many miles between us, the bond in Christ is strong. I can't thank you enough for reading and understanding what is on my heart! Much love to you, dear friend. Wonderful post! I am in total agreement with you on all of this. Also, I think Zachary is a treasure! I hate that I missed meeting all of you at the hospital that day. If the Lord tarries, I pray that Lea will marry a man like Zachary. What a comfort that would be for me. I have no greater joy than to hear that my children walk in truth.3 John 1:4. In the world we live in, it is so important to pray about our children's future spouses and to instruct them that they need to do the same. Thank you so very much, sweet friend. I can't tell you how thankful to the dear Lord I am that He sent us this dear son after waiting for so long. I often tell him that in the Bible, when a woman was barren, then God opened her womb and sent her a son, He always had a special purpose for his life (Hannah/Samuel, Elizabeth/John the Baptist, Rachel/Joseph, etc.) I hope Lea will find a man of God. She sounds like such a sweet girl and deserving of that. I know God has someone special for both of our children, if they will only wait upon Him and His perfect will. YES, I wish so bad we could have met that day at the hospital. I feel like I have known you already for years!!! I am hoping that God will orchestrate another trip there, so we can meet, or that He will work it out some other way, if it is His will. If not, I know I will recognize you in Heaven some sweet day!!! Love and appreciate you so much! Thank you so much, Jo! You are such a dear, consistent encourager to me! God bless you!! Hi Cheryl, as I begun to read I was not expecting the list you wrote, but, LOVE IT! These are certainly HEART favourites. I think I may make a list of my own. I also think the perspective of your favourites is an eye opener for me anyway. One thinks of one's favourite things in terms of what pleases "ME" Your list is selfless. Your list is Prov 31! Great encouragement here! Thank you ever so much for your sweet visit and kind words, Tracy! I am always so blessed when you come by. I hope you make your own list...I would love to read it, should you choose to post it! God bless you richly! I agree with all of these 11 things, homeschooling included. :) Your passion was felt in every word. 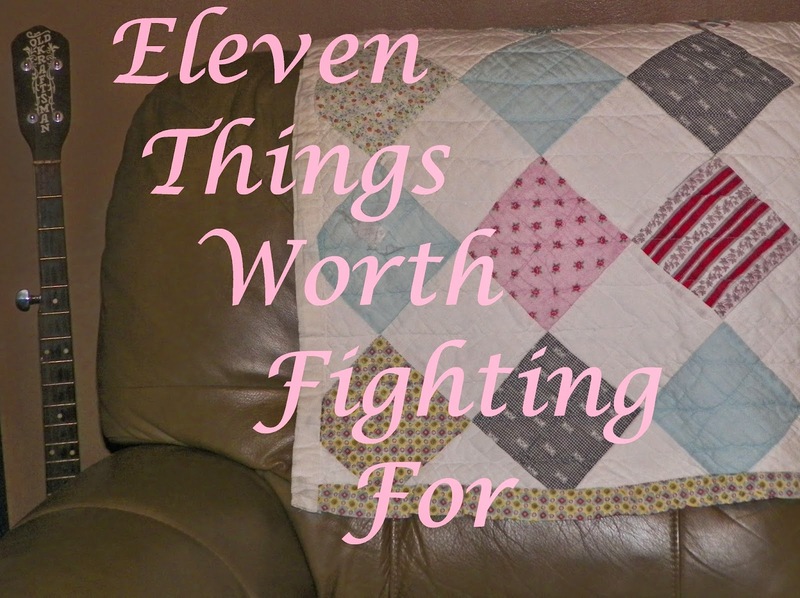 All eleven of your "Things worth fighting for" and things we all should take heart to. Exception would be home schooling as it would not apply to me (grown children) and a few other parents. From your post and what I see about your boy Zach, I am reminded of the young child Samuel in the Bible and how God spoke to him the first time, and then habitually. Thank you for your Inspiring story posted with us here at "Tell me a True Story." I, too, have thought of Samuel so many times, in relation to Zach. How Hannah was barren, etc. It is a wonderful blessing. God is SO good! So thankful for your visit today, Hazel. You are an encouragement to me! Cheryl - I love your list and and those items on the list are becoming more and more important even while they become less appreciated. With all of the issues with my parents the last couple of months.... Dad's surgery, caring for Mom, rehab and etc... I have seen first hand how so many do not appreciate older people... and are ready to give up on them... as not worthy of attention, help or even courtesy. So different from what God's Word says about honoring and learning from the aged. Thank you for a great post. You are so right, We went through SO much with my dear mother's medical care and her being treated like someone "less than" simply because of her age. My heart goes out to you in your current trials with your parents' health. I have walked that path and know how difficult it is. May God bless you and give you the strength you need and the courage to be your parents' advocate. They need you now more than ever. Dearest Cheryl, you are such a might woman and I feel such oneness when I stop over here. Every point you have is important in our lives and family. Thank you for sharing your heart with us at Good Morning Mondays. Blessings to you and yours. Beautiful post! Thank you so much for your honesty and openness and also for linking up with Tuesday Talk! Thank you so much for stopping by, Becky! I so appreciate your sweet visit and comments. :) God bless you. Cheryl...I think we are kindred souls. Your list is my list. 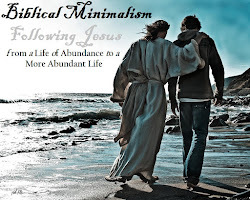 Thank you for sharing at Monday's Musings. Praying you have a wonderful week dear friend. It's me again. I was stopping by to tell you that this post was one of the top posts from my last link up. I featured it this week, and I also mentioned Jimmy in a link and asked for continuing prayers for his family and friends. I hope you feel comfort and peace. Love you! Oh, Chris!! Thank you SO much. I saw that when I stopped by your blog. I was real tickled about that. And I sure appreciated you posting for prayer for Jimmy's family. They surely need it. So thankful for you and all you do. Love you!